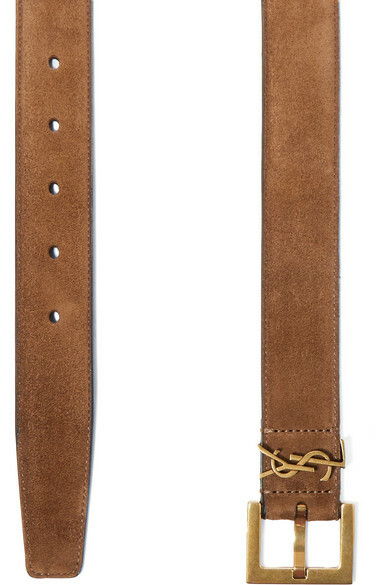 The brown shade of Saint Laurent's belt will complement every single neutral hue set to trend for Spring '19 (think oatmeal, beige and honey) along with light to mid-blue washes of denim. It's been made in Italy from plush suede and fastens with a squared gold buckle to match the iconic 'YSL' lettering. 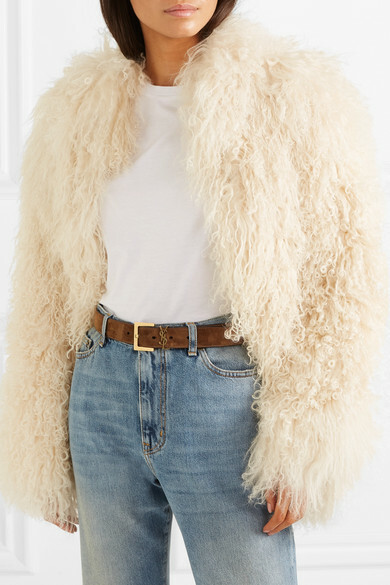 Shown here with: Saint Laurent Jacket, Saint Laurent T-shirt, Saint Laurent Jeans.